Filming has started for the much-anticipated biopic based on the life story and glories of China's superstar tennis player Li Na -- despite it still being unclear who will play the protagonist. 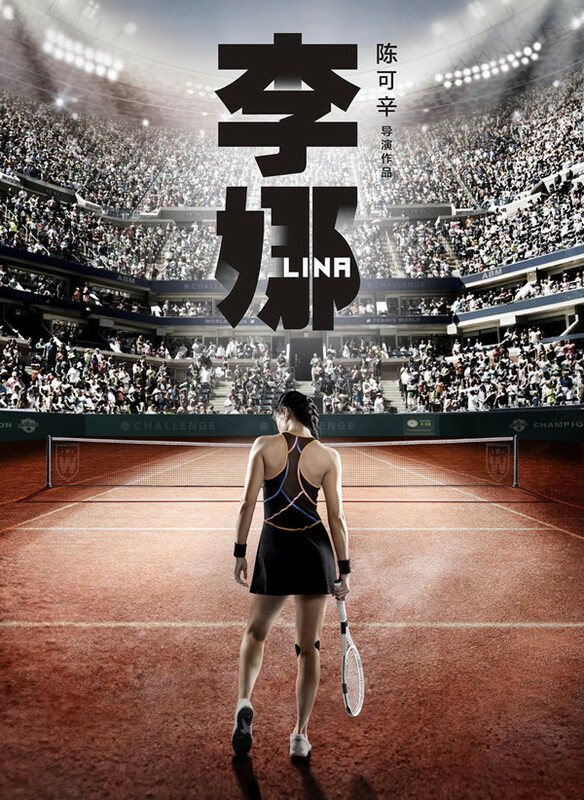 Renowned director Peter Chan released the first teaser poster of the film project on Thursday, showing Li Na standing with her back facing the viewer on the tennis court packed with thousands of spectators holding a racket. "Li Na has always been a big question mark in my heart," Chan captioned the poster, "I spent four years in finding the answer. The silhouette of her back in the poster poses her life attitude: 'Let's compete. Who is afraid of you?' This attitude fascinates me." Chan remained tightlipped about who will play the predominant tennis star in his film, which he has been preparing for four years since his last directorial feature "Dearest." Even in a photo released days ago at the start-filming ceremony, the head of "Li Na" is edited and blurred so no one can see her face. In August, a short film directed by Peter Chan and starring Li Na was published as a credit card commercial for the Bank of China, which portrayed an emotional story between Li and her father. The film serves as a test and teaser production by Chan before starting the feature film, but has also sparked rumors that the biopic could be starred by Li herself. But Chan decided to bring up a brand-new talent in the film, who has been chosen and trained in secret for two years. Li said she has met the actress and was satisfied with Chan's choice. "I trusted you with the biopic for me, because I felt you are the best when doing films focused on individuals," Li told Chan in another dialogue video uploaded earlier this week. "I often said, at my age, there will not be many more projects left to come out in my rest of career, so I have to be very careful when deciding to do a film," the award-winning "Comrades：Almost a Love Story" director said. Li retired from professional tennis in September 2014. She had achieved a career-high WTA-ranking of world No. 2 in February that year. During her career, Li won nine WTA singles titles including two Grand Slam singles titles at the 2011 French Open and 2014 Australian Open. She was the first Grand Slam singles champion from Asia. Li's success and her attractive personality and charm have greatly helped increase the popularity of tennis in China and inspired the whole of East Asia. After her retirement, Li was busy with many things including launching her own brand, endorsing food and drinks, opening tennis schools as well as participating in many children charity events. Li said that she is most looking forward to the film demonstrating her eagerness for achieving dreams. "Li Na," adapted from the top tennis player's 2012 biography "Li Na: My Life," is now filming in Wuhan, Hubei province -- Li's hometown, and is scheduled for release next year.